Pixel & Paper Designs is pleased to announce the launch of a website for A Better You. 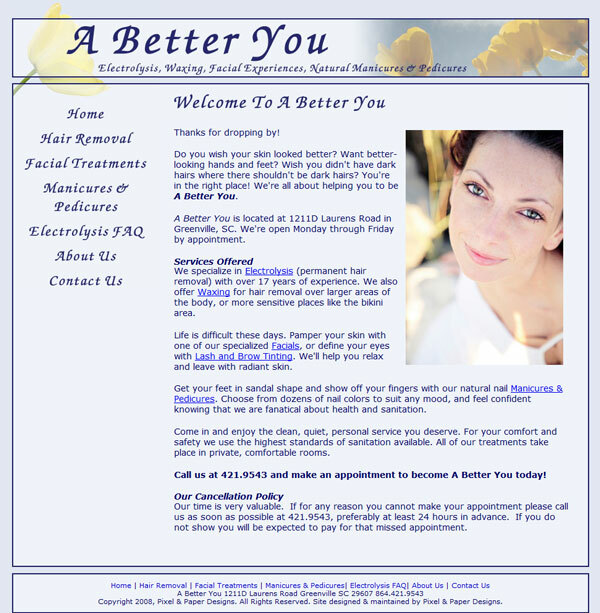 Client Tina Moore wanted calm, clean, floral and blue for her electrolysis and skincare business. The new website has services, pricing information, skincare tips, and frequently asked questions about electrolysis. Since launch Tina’s averaged 2 new clients a week from the site.